I was eight the first time I set foot in Puerto Rico, or as locals call it, La Isla del Encanto, the island of charm. Everyone I met was friendly and everything I saw was beautiful. I’ve been back a handful of times since then; I have some family that lives in Rio Piedras, which is about 20 minutes from San Juan. They always told me about the increasing crime, water shortage and economic problems the island was undergoing, but I didn’t see any of it first-hand. I also didn’t look into any of it myself, so it wasn’t until I learned more about Adriana Cardona-Maguigad’s investigative reporting on the Puerto Rico-Chicago heroin pipeline that I really saw the reality of a serious issue on the island. 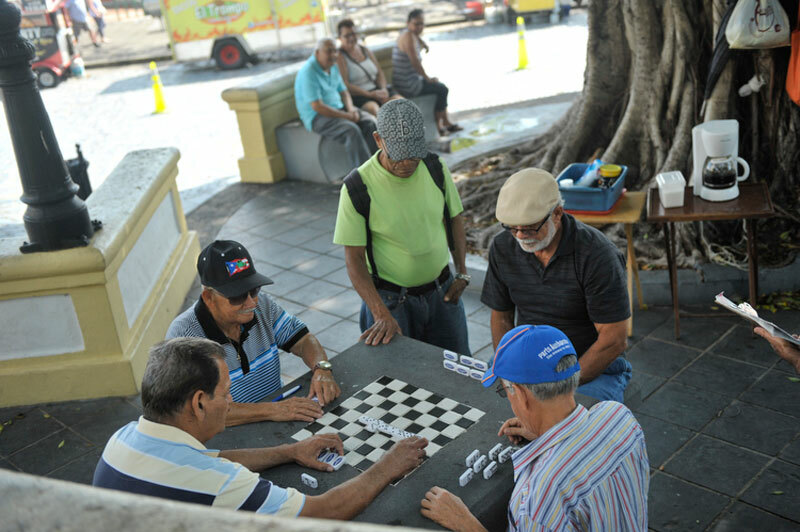 When I went to San Juan on the Medill Explores trip, I saw a different side of the city. I remember looking outside of the car window on the way to our hotel from the airport and taking note of people sitting on the street, some with severely swollen legs, which I would find out later is a side effect of heroin use. Our first day was like a boot camp of learning about heroin use and abuse on the island. 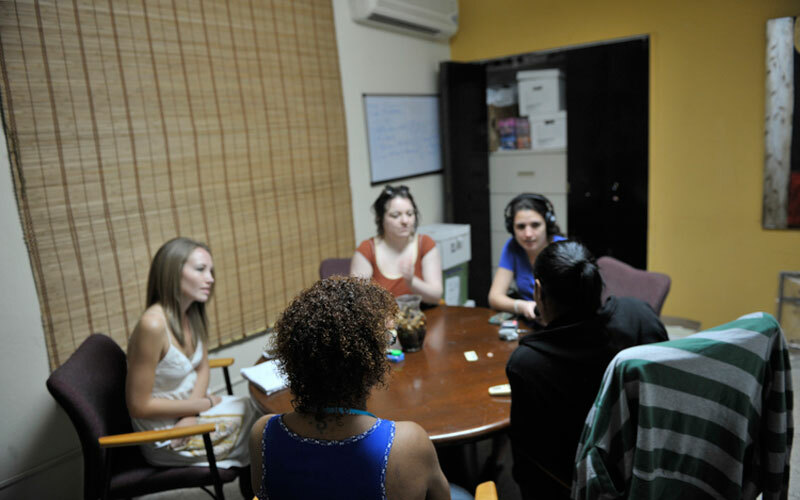 I also learned about harm reduction and needle exchange programs with Intercambios Puerto Rico, an organization on the east coast of the island in a town called Fajardo. The Intercambios staff really put everything into perspective, something that helped me understand some things we would be seeing in the days that followed. On Wednesday, we toured La Perla, an ocean-side neighborhood in San Juan that most outsiders are told not to enter. When I told my parents and my Puerto Rican family members that I would be going into La Perla, they were startled and asked me why in the world I would want to do something like that. Even as our group walked down from el Viejo San Juan into the streets of the neighborhood, a couple of tourists yelled out to us that the area was not safe and we shouldn’t be going there. We laughed and assured them we knew where we were. What we found in La Perla was not exactly what I expected. The neighborhood was colorful, with every building painted in bright hues of blue, pink, green and yellow. It reminded me of poor, but vibrant neighborhoods, like the townships in South Africa or the favelas of Brazil, where the people are welcoming and warm. I stopped to speak to Miguel, whose family has lived in the neighborhood for about 90 years. He very enthusiastically began to tell me about the history of the area, going as far back as when Spanish soldiers used to hang out in the nearby beach. Irma, another resident, told me about her work at Las Duchas de La Perla, the local homeless shelter. I asked her if she ever considered leaving the neighborhood, and she quickly replied no. She said that it is her barrio, her neighborhood, and she never wants to leave. I know La Perla can be dangerous, but many of my preconceptions dissipated after that afternoon. The following day, we split up into two groups to do some reporting. After shooting some footage and conducting a few interviews, my group and I walked around Fajardo. We spoke to a few locals about Puerto Rico’s future. We contemplated independence or statehood for the island or what its future would be as a commonwealth of the United States. In Puerto Rico, this is a constant topic for discussion and everyone has a different opinion. We decided to stay in the area to catch the sunset from the east coast near the town, which we did, right before ordering some fish tacos and empanadas from a local street vendor who set up near the water. 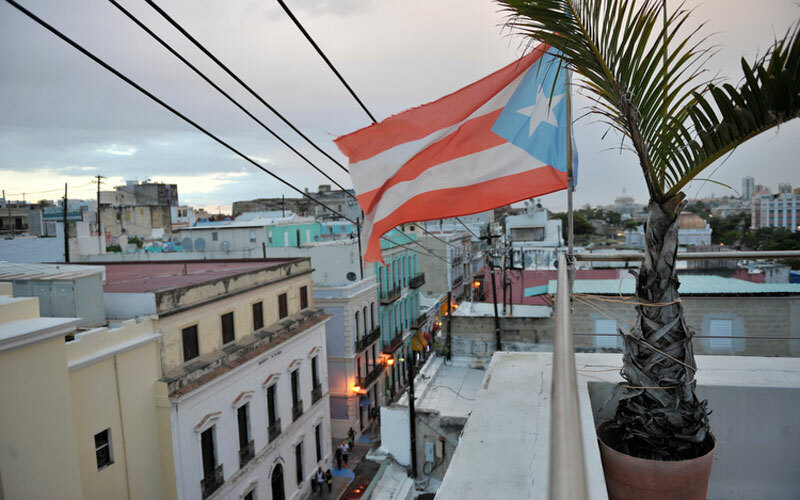 Friday began with a visit to the Centro de Periodismo Investigativo de Puerto Rico, or the center for investigative journalism, and ended with a ronda, or a late-night trip through the streets of San Juan and surrounding neighborhoods. 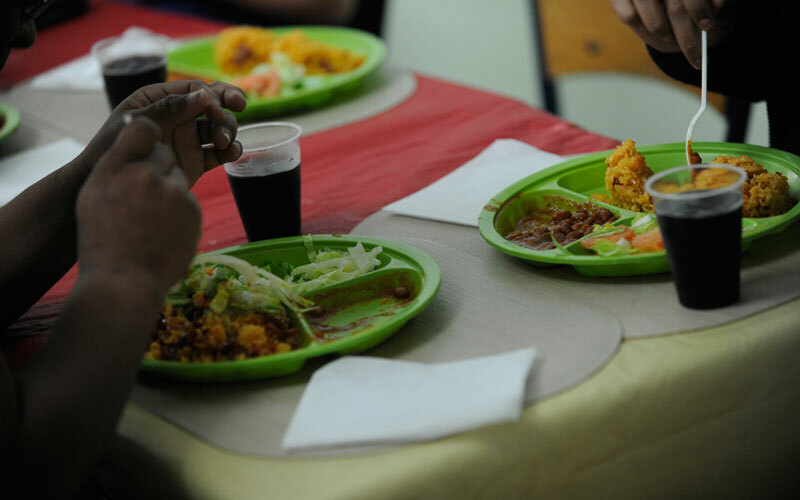 We went with Iniciativa Communitaria, a volunteer group that goes out on these trips to give drug addicts on the streets some food and water in addition to encouraging needle exchanges. We encountered all kinds of people that night from all walks of life. We spoke to, and even sang with, the men and women we came across on various stops. We literally spent all night on the trip and we didn’t get back to our hotel until the sun was already out and it was eight in the morning. We spent our last night in Puerto Rico together at Dragonfly, an Asian fusion restaurant just a few blocks from the hotel in San Juan. We talked about our experiences on the island: the troubles we had, the failures and the successes. It’s safe to say that my most recent trip to San Juan was very different from my first. I arrived in San Juan with basic knowledge about our project, and left with a deeper understanding of the culture and the drug use and abuse issues Puerto Rico faces. 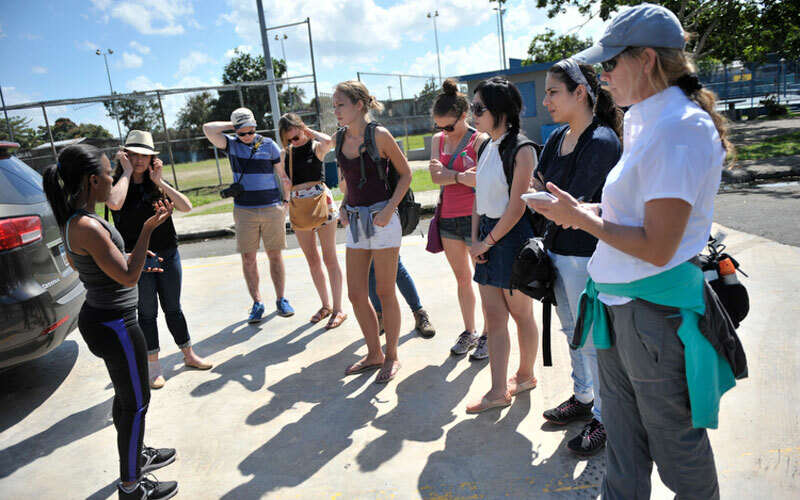 Current graduate journalism students traveled on 8 different trips across the globe and U.S. during a one-week hiatus from class to hone their reporting and writing skills. Medill Explores trips included political coverage of the Iowa Caucuses in Iowa; sports coverage in Denver and San Francisco; global journalism in Argentina, Pakistan, South Africa and Puerto Rico; and business, arts, media innovation, social justice and health and science in Chicago. 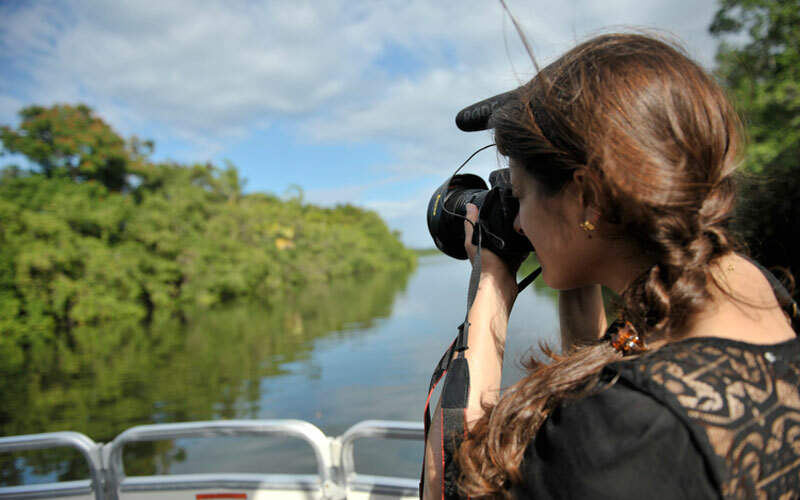 For more information on the unique, real-world experiences we provide our graduate journalism students to solidify their skills, visit our website and follow us on Twitter, @MedillSchool and #lifeatMedill.